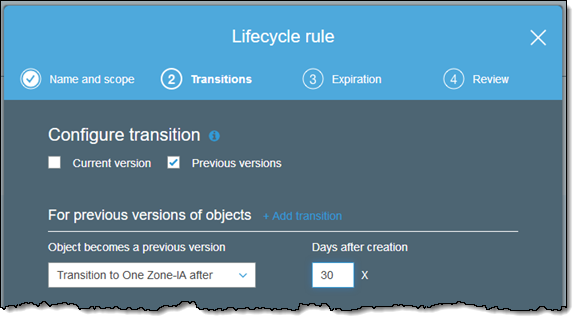 New S3 One Zone-IA Storage Class – This new storage class is 20% less expensive than the existing Standard-IA storage class. 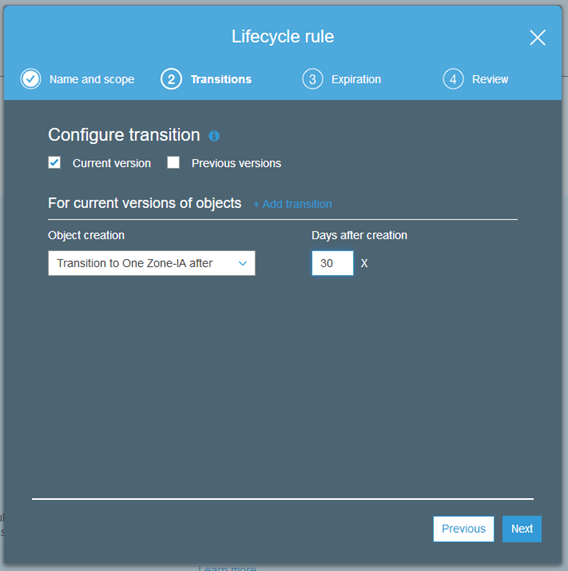 It is designed to be used to store data that does not need the extra level of protection provided by geographic redundancy. 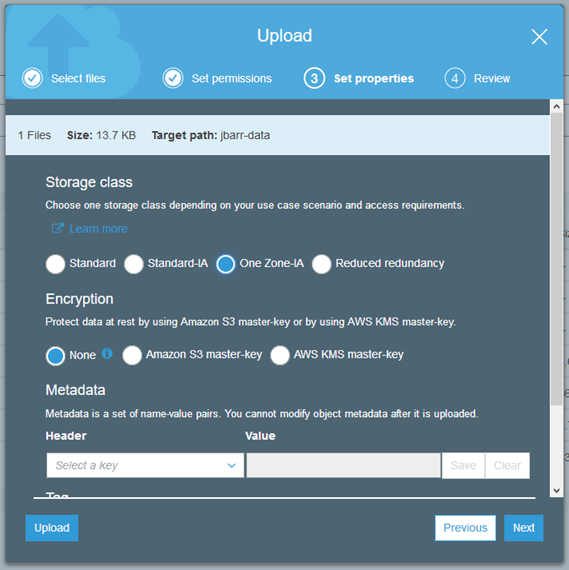 This entry was posted in AWS, Cloud, Computer, Murmuring, Network, Service and tagged amazon, aws, class, cloud, cost, ia, one, pricing, rrs, s3, standard, storage, zone on April 5, 2018 by Gea-Suan Lin.